The Adamson M212 monitor delivers everything you need in a low profile stage monitor: fantastic gain before feedback, precise pattern control and high output with extremely low distortion. With 2 x 12” LF drivers, the M212 offers more bass and output than its smaller counterpart, the M12, and with the 65° x 65° waveguide, a wider dispersion than its larger counterpart the M215. The M212 exhibits remarkably low distortion thanks to the qualities of its advanced multi-layer Kevlar cone driver. Two Adamson long-excursion 12” Kevlar Neodymium drivers supply exceptional power handling with outstanding mid frequency response, ideal for demanding vocal performance. Adamson’s Advanced Cone Architecture dramatically increases the linearized mid-range response by reducing the radial and chaotic modes in the ND12’s passband. 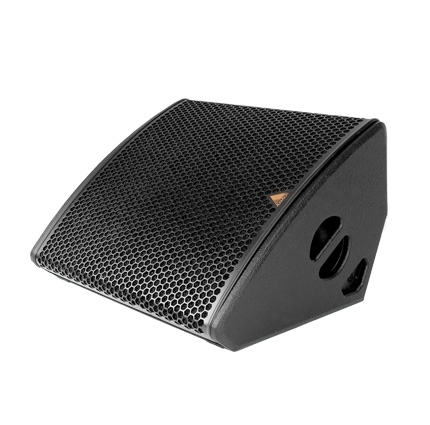 The Kevlar cone design also enforces extreme durability in wet conditions making the M212 an ideal solution for outdoor events.